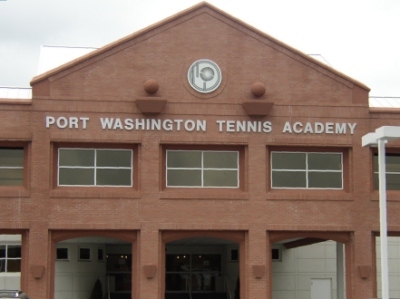 Port Washington Tennis Academy (PWTA) is dedicated to young people, primarily from the ages of four through 18. PWTA was created in 1966 as a non-profit facility to use tennis as a means of fostering educational success for children, by developing a stimulating lifelong activity that is fun, healthy, and scholastically and socially beneficial. This is accomplished by utilizing specialized techniques with a wide range of instructional programs, special in-house competitions and several USTA-sanctioned tournaments. Additionally, graduating high school seniors get the benefit of PWTA’s many years of experiences and up-to-date knowledge of schools, teams and coaches when it comes to identifying, selecting and the eventual placement at a university meeting their individual capabilities and goals. While PWTA is well-known for many world-class professional players graduating from its programs, encouraging educational excellence will always be the club’s main focus. PWTA also offers an extensive variety of adult programs at all levels. Men's and women's daytime and evening leagues, private lessons, group clinics (three players plus a professional), seasonal courts, including instructional and season-ending doubles play sessions, are just part of the club’s broad spectrum of activities. PWTA is the largest indoor tennis facility on the East Coast, with 17 indoor courts (four hard and 13 HarTru) and a unique elevated quarter mile-long indoor running track. PWTA also provides many extras not found as part of a teaching program, such as an international teaching staff, closed-circuit TV for each court, upper TV lounge for relaxed viewing, spectator viewing galleries to ensure full visibility of every court, comfortable lounge areas, extensive men's and women's locker rooms, meeting rooms, etc. Complimentary coffee, tea, milk, cookies, juice and potassium-rich bananas are always available to PWTA members. In addition, the Academy has a fully-stocked pro shop to meet the needs of members. For more information, call (516) 883-6425 or visit PWTA.com.